1 Bhk 535 sq.ft specious flat in Sanghvi Regency,Khadak pada at Kalyan(W).The Flat is ready to move.this project have all the amenities like Car Parking,Children's Play Ground,Maintenance staff,Vastu Complaint, 24x7 Security,Registered Society, ...Bank,School,Market,Hospitals,Bus Stand,Auto Stand,near by available.property approved by K.D.M.C . Title clear property.The property is located in well maintained good society. 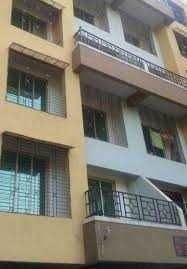 Very good spacious flat in good locality.Loan available from all leading Bank.a happy,healthy and presenting life.Price:35lac(Nego).